Despite missing a couple of days of action, the 'Bull Trap' which emerged in the S&P last week was still in play by today's close. 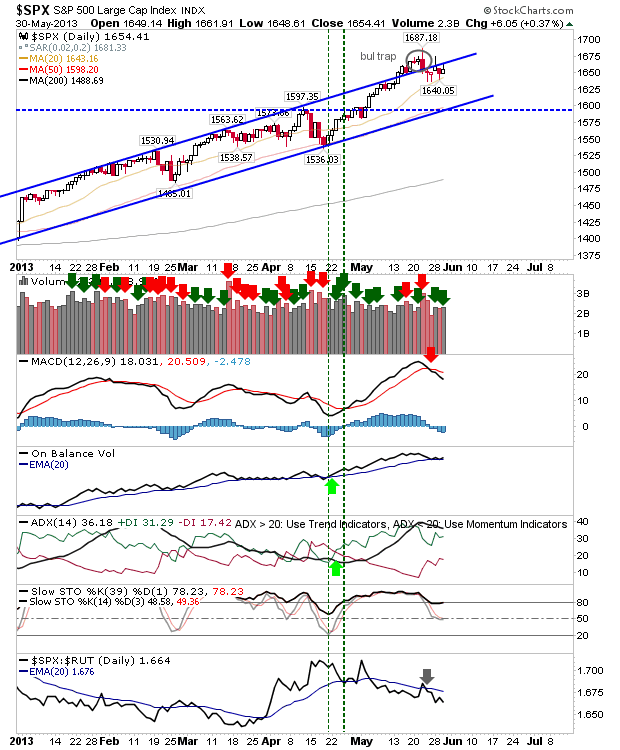 The two attempts at a rally in the past few days were rebuffed by the close: 1,687 is looking increasingly like a swing high top, and a good place to measure risk:reward if looking to go short. The MACD has already triggered a 'sell'. The Nasdaq doesn't have a 'Bull Trap' to deal with, but it too has struggled to make it past the swing high of 3,532. The MACD 'sell' trigger lends weight for a top. 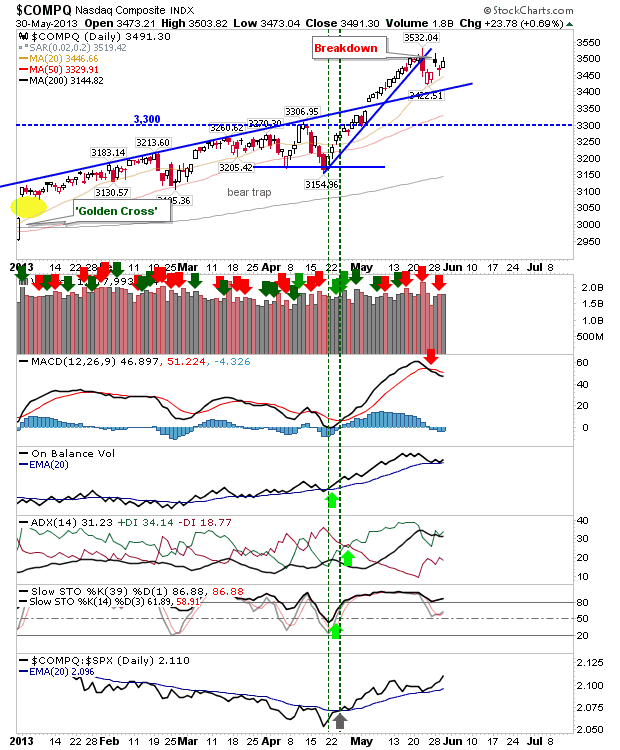 Nasdaq Breadth continued to roll in favour of bears; for example, the Percentage of Nasdaq Stocks above 50-day MA is on two bearish technical signals, and is some distance shy of the 2013 high posted in January - a very significant negative divergence to the parent Nasdaq. Finally, the Russell 2000 is in a similar position to the Nasdaq. However, it is enjoying a relative strength shift in its favour against the Nasdaq. 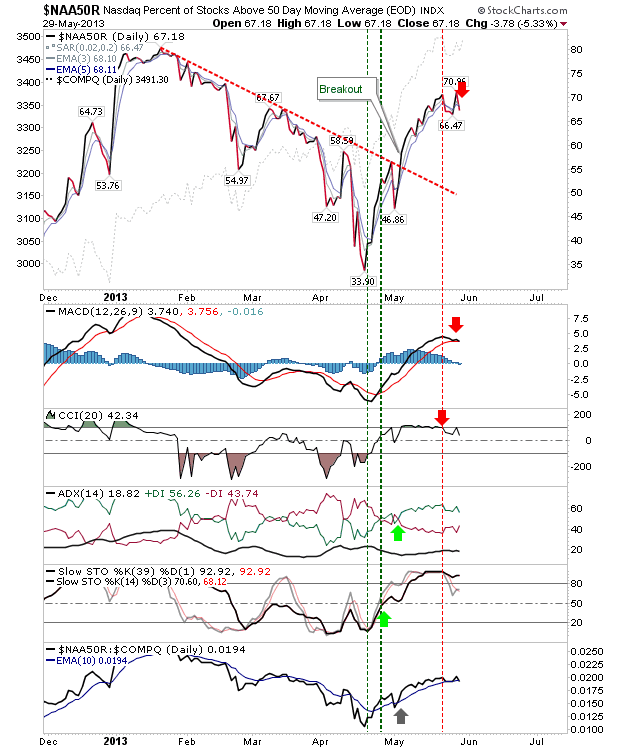 Other technicals are split between bulls and bears, although bulls maintain prior momentum until proven otherwise. 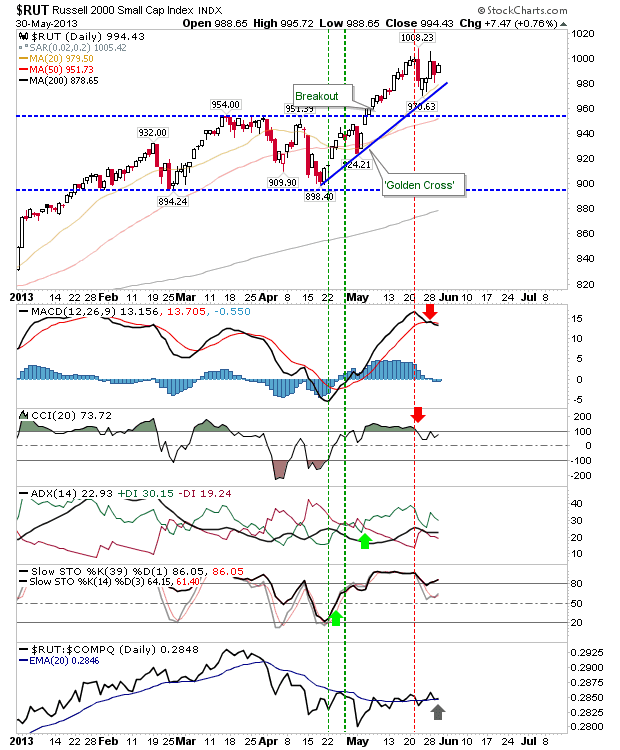 There are growing bearish signs, but prior momentum keeps bulls in control. The potential 'short' plays defined by the swing highs remain intact, although the S&P is looking to be the better short play than the Russell 2000.